Gone are the days of hemp being relegated to beanies and tie-dye shirts. A new era of hemp clothing is here, and it’s anything but crunchy. 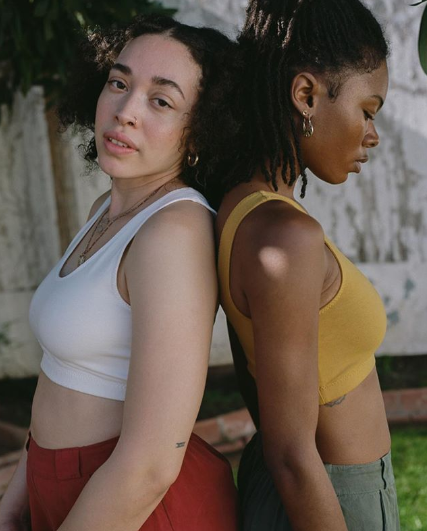 In 2019, hemp has made its way onto runways and into magazine spreads thanks to the likes of some big names (Vivienne Westwood, Alexander Wang), and we couldn’t be more down for it. The innovation happening around this fibre is pretty stunning, and its exposure is worth a lot more than just clout. Millennial-focused brands know that our support of the hemp industry is a way to help ensure a cleaner, greener future for all of us – and that right now, this objective is just a must. It’s time for hemp to meet the mainstream, we say. Here are a few brands / designers we applaud for their clothing collections and their values. Mara Hoffman is a NY designer who makes 100% hemp clothing that celebrates the ‘strength, beauty, and power of all women.’ Since 2015, Hoffman has been using sustainable processes and materials (recycled plastic, organic cotton, tencel) and also working to encourage consumers to reevaluate the relationship society has with clothing. More of these ethos at Nordstrom and Saks, please. Founder Robert Jungmann created his clothing line out of a desire to bring hemp to everybody. To him, designing a hemp tee for tee-needing people (everyone), was a small, simple act that could have a big impact – one of the company’s main values is taking action on the opportunity to combat deforestation via hemp. JUNGMAVEN is sold in boutiques across North America, Europe and Asia, and on our shop. At The Hemp Temple, ‘hemp is a vehicle of transformation,’ and the path is heading toward a zero footprint, sustainable future. These clothes embody ‘slow fashion’ – intentionally-made – from seed to sew to sale, folk and bohemian inspired styles. If you fantasize about looking effortlessly put together in flowy, touchable dresses and straw hats this spring, look no further for this season’s style inspo. If you coveted Gwen Stefani’s wardrobe growing up, you’ll find a lot to love here. 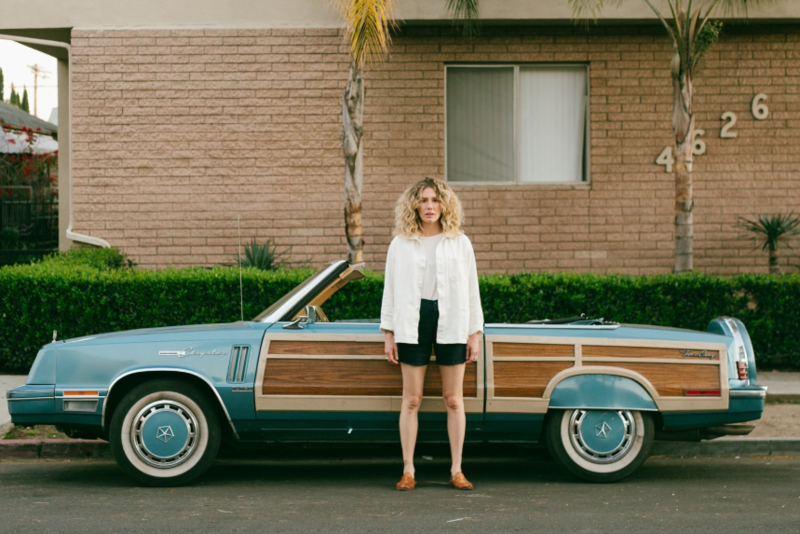 These are LA-made, Cali-surf-and-skate inspired clothes ‘for that laid back life.’ The company uses only environmentally-friendly practices in their designs, and low-impact fabrics like organic cotton, recycled cotton and hemp. There’s no physical store – they ship online, with 100% post consumer recycled bags and packaging. 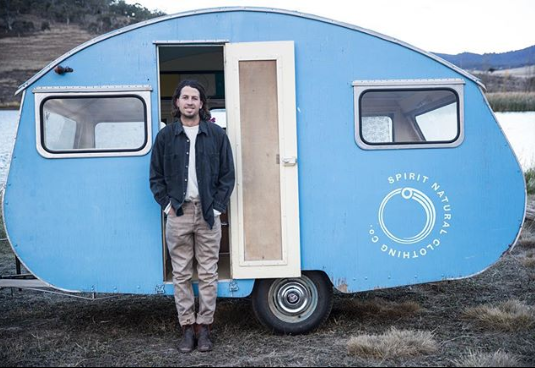 Spirit Natural Clothing is a clothing project based on a biodynamic farm in southern Australia. 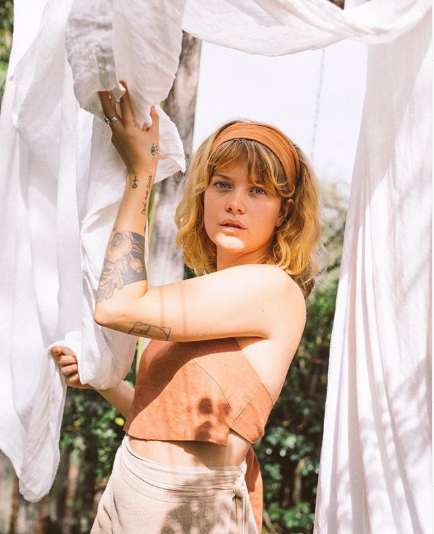 ‘Project’ aptly describes their grassroots approach – all of their hemp clothing is hand-dyed, made ethically, powered renewably, grown organically. Truly – they dye their clothes with turmeric and bark and sell out of a rolling caravan. Watch their process and be impressed. With every item purchased, Tentree Clothing promises to plant ten trees – and it’s their goal to plant 1 billion trees by 2030. Hence: This brand wants to be the most environmentally progressive brand on the planet. 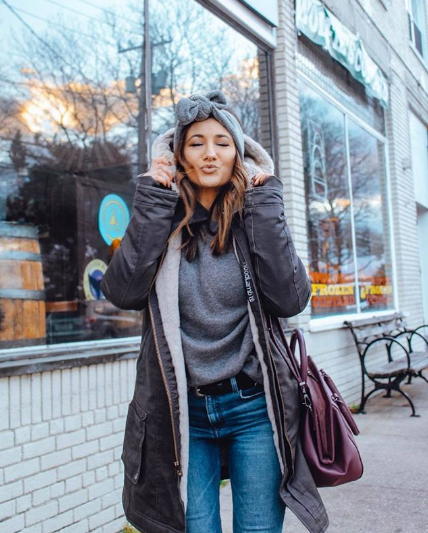 All of their products – women’s and menswear and lifestyle products like beanies and water bottles – are made with 100% recycled, organic, or responsibly sourced materials (think: hemp, cork, coconut). What started in the early 90s as a desire to have reliable clothes to warm up after surfing in the North Sea became a hemp clothing revolution. HoodLamb is known and loved for it’s ‘hemp tailor-made’ coats and knits that rely on old-age tailoring traditions. This brand has mastered their designs which all revolve around hand-harvested hemp. For a warm af coat that will stand the test of time, splurge on a HoodLamb.